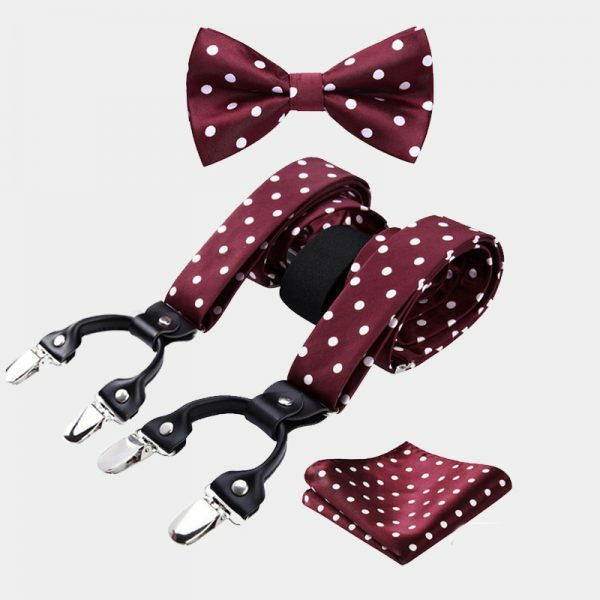 A well-dressed gentleman always stands out from the crowd. 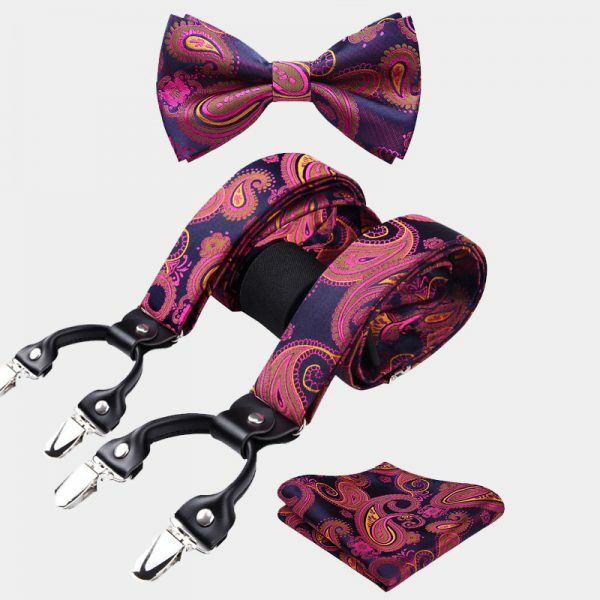 Let your wardrobe do the talking for you when you wear these gentleman’s burgundy paisley suspenders. 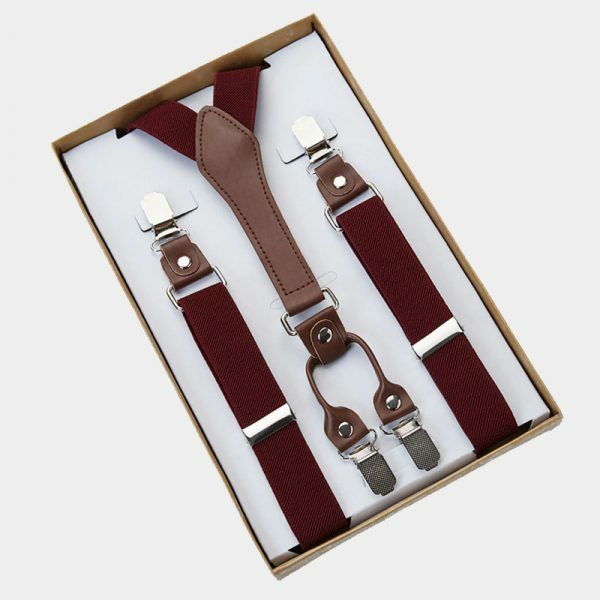 These handmade dual clip suspenders let your style and sophistication show through. 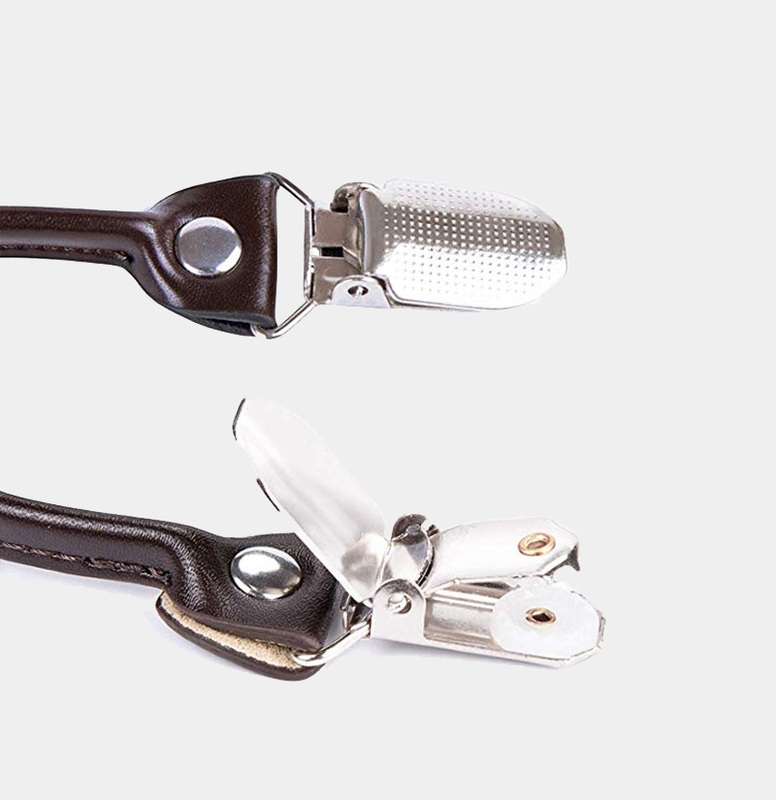 They are an absolute a must-have accessory for every man’s wardrobe. 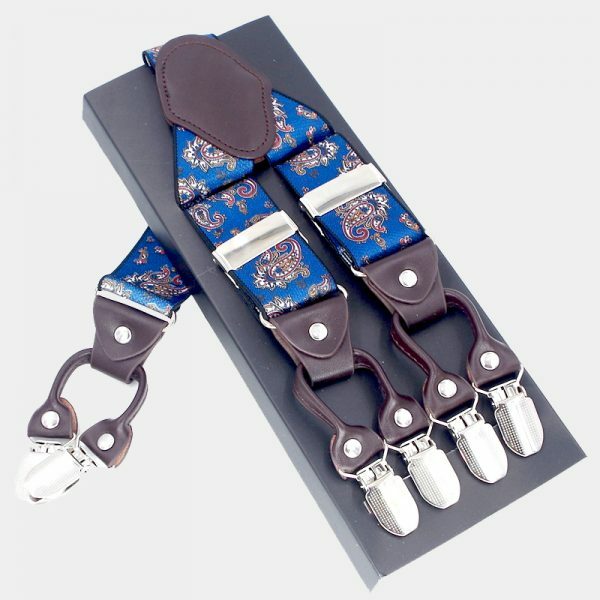 These beautiful suspenders make great gifts for any modern gentleman. 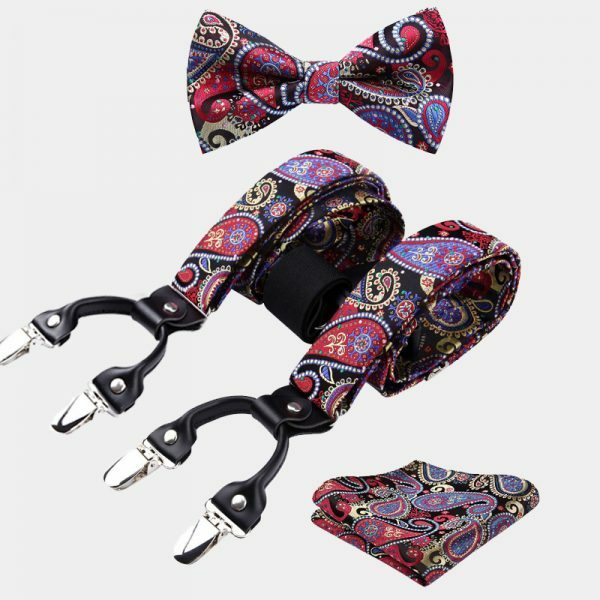 The classic paisley print of these handcrafted suspenders looks sharp with business as well as casual attire. 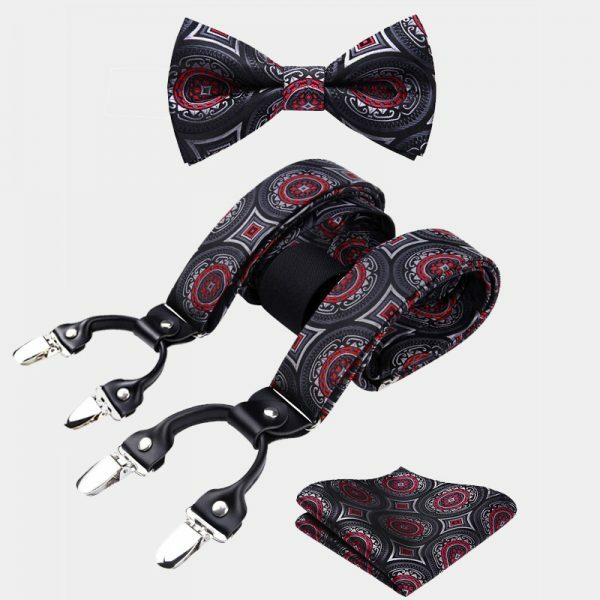 They also make an excellent addition to your tuxedo or other formal wear. 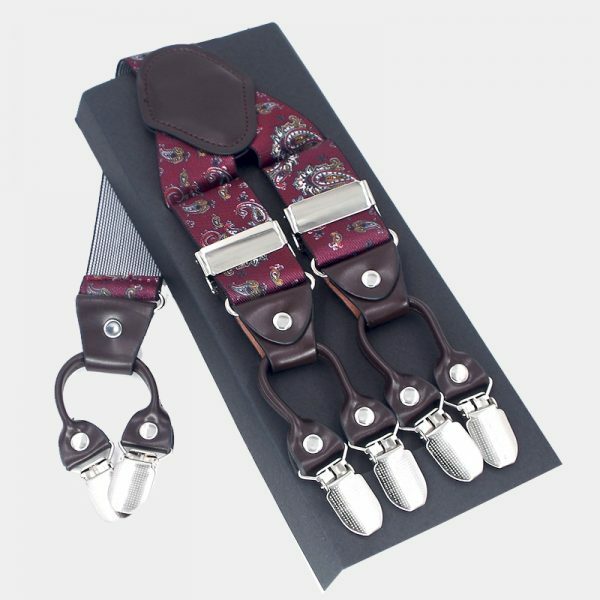 These burgundy paisley suspenders are fully adjustable giving you maximum comfort. 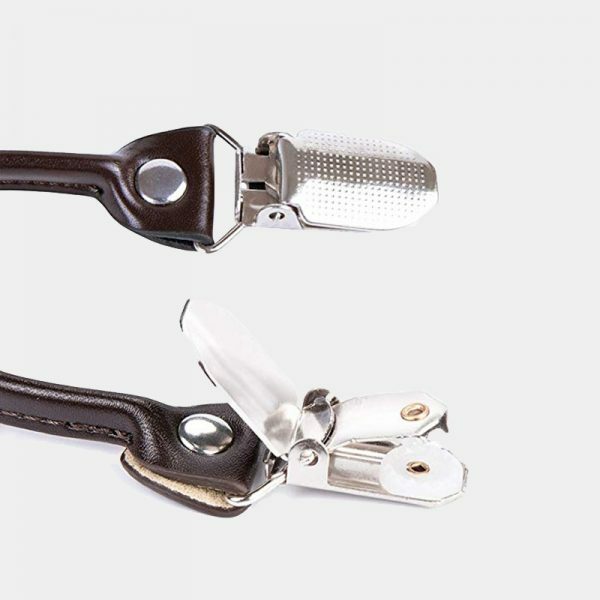 They have six non-slip clips as well as attractive bindings. 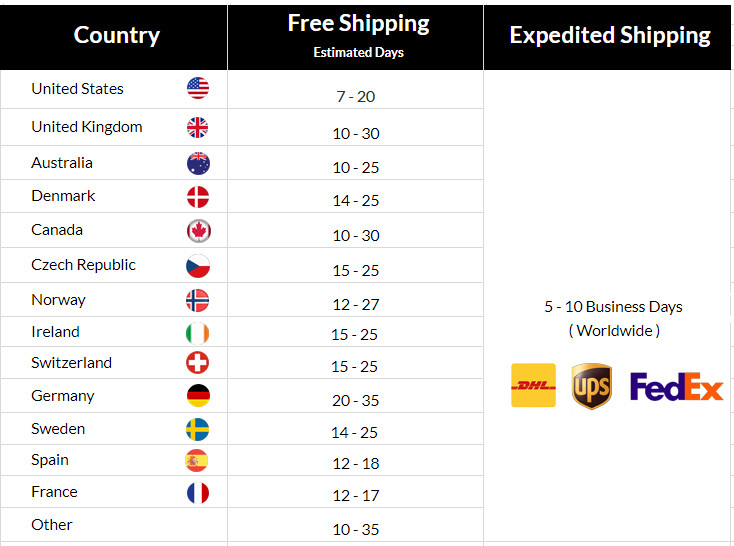 Looking sharp and keeping your pants right where you want them is easy. 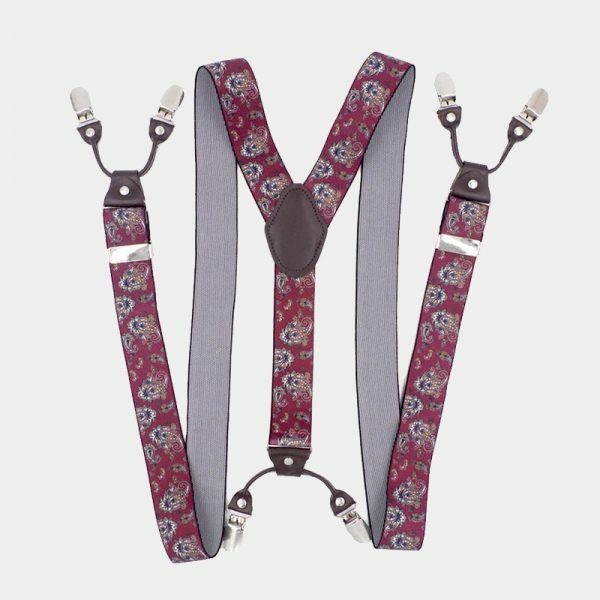 You never have to worry when you wear these handsome burgundy paisley suspenders.